Cyclist Nicole Shields spent part of the school holidays training at the velodrome in Invercargill. The Dunstan High School student travelled south to be one of 20 elite level junior cyclists to receive training from Canterbury coach Hamish Ferguson and New Zealand under-19 sprint coach Jon Andrews. Ferguson brought 15 Canterbury riders to Invercargill for three days of coaching. "Our velodrome is outdoors [in Christchurch] and it's too wet to ride on," Ferguson said. "It's great we can come down and use these facilities." Shields has been in the under-17 New Zealand development squad for two years and aims to be in the under-19s next season. In April, she became the first girl in 20 years to win two consecutive time trials and road races at the club nationals _ Napier (this year) and Cambridge (last year). She is a road rider but wants to test her skills on the track. 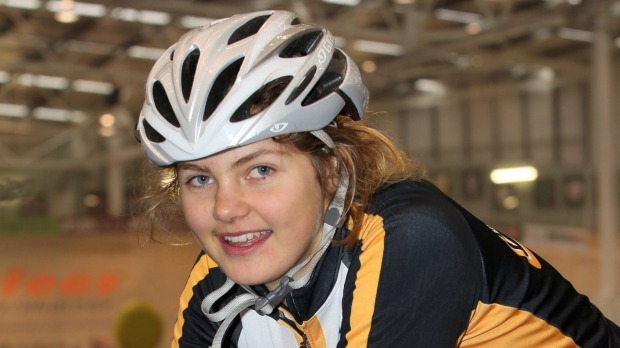 Shields, 15, will be competing at the Oceania Track Championships at the Invercarcargill velodrome in October. In the past two years, she has won the Manawatu Junior Tour twice and had a win and a second in the Te Awamutu Junior Tour. She was overall winner of the Canberra Junior Tour in May. "The Canberra trip was good. It's good hard racing," said Shields, the 2014 Central Otago Junior Sportswoman of the Year. The teenager is training with the New Zealand world junior squad in Cambridge next month. She has been in the Central Otago Wakatipu Cycle Club for four years and is one of two competition cyclists at Dunstan High School. Her coach Simon Smith, of Alexandra, said she had rare qualities. "She's naturally talented and driven," he said. Smith gives Shields six to 12-week training schedules and contacts her once or twice a week to check on progress. They target certain events. "The last two seasons have been phenomenal for her." She is in the Dunstan High School's senior A netball team that will play at the South Island secondary schools' tournament at Timaru in September.